The NFL was a little more colorful this past weekend, as hundreds of players wore logoed customized cleats to raise awareness and money for charity. 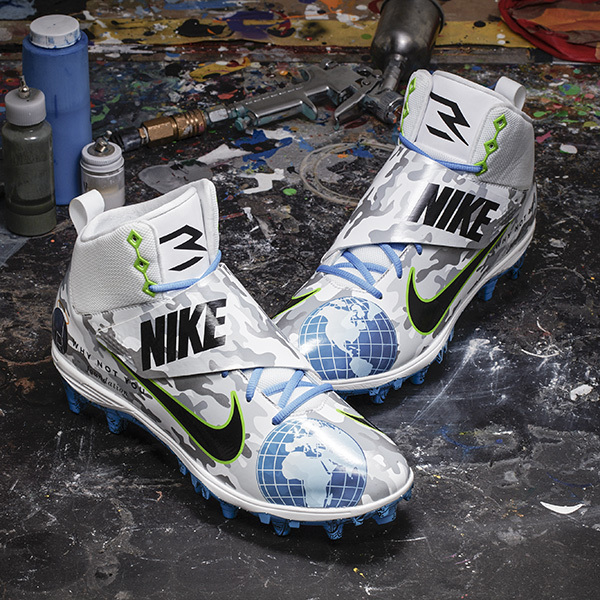 Players this season have been expressing their personality and fashion tastes with colorful custom cleats – shoes that would also violate the NFL dress code and draw a fine. For Week 13 of the football season, the NFL called a détente on the shoe wars and concocted “My Cause My Cleats,” a campaign designed to raise awareness for different social causes. More than a third of the league – over 500 players – donned cleats with custom designs representing a charity or cause of their choice. Traditionally, NFL players must wear shoes without brand names and logos (beyond that of the shoe manufacturer) – it’s a fine of $6,076 for first-time infractions and $12,154 for subsequent ones. But the cleats sported by players last week featured all sorts of colorful logos, graphics and designs to raise awareness about issues such as domestic abuse, animal cruelty and rare diseases. NFL Auction has also allowed bidding on the shoes with 100% of the proceeds benefiting respective charities. Here’s a look at several of the cleat designs that were worn by the players.